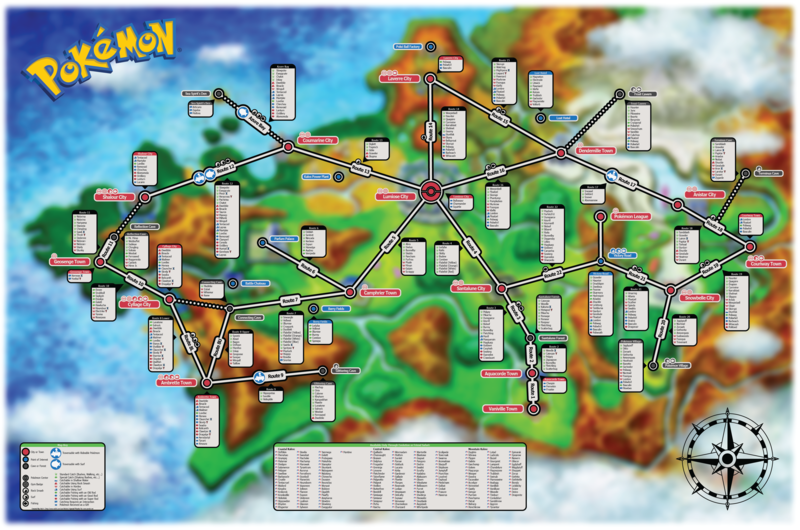 The detailed map shows how to get every available Pokemon in the game. "If a Pokemon has the 'horde' symbol next to it, it doesn't mean that it ONLY comes in hordes. It just means that it DOES come in hordes. Also if a Pokemon has any 'fishing' symbol next to it. I just put the easiest method for capture instead of listing all. For example if you can catch something with a good and super rod, I just put good because you don't NEED the super rod." Additionally, you can download a PDF version of the map here. Happy hunting!